Bridie’s Apple Trees, oil on board, 122 x 244 cm, (private collection). 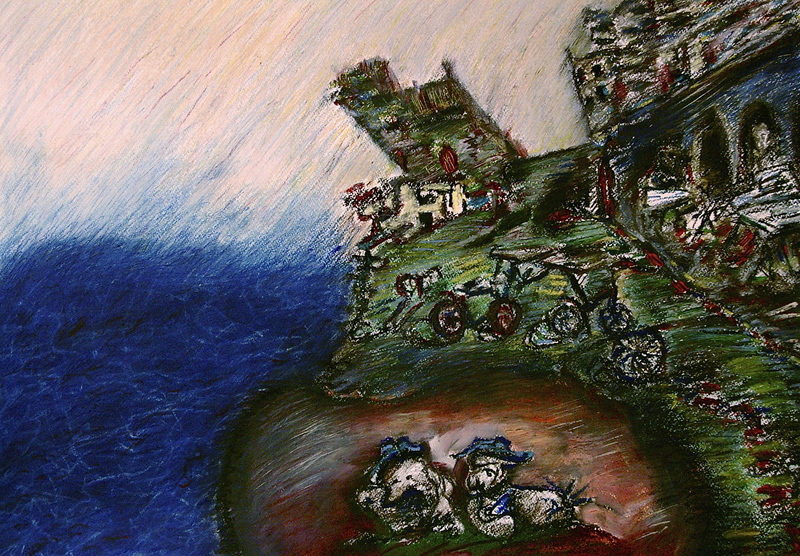 Childhood Composition 1, mixed media on paper, 50 x 70 cm, (private collection). 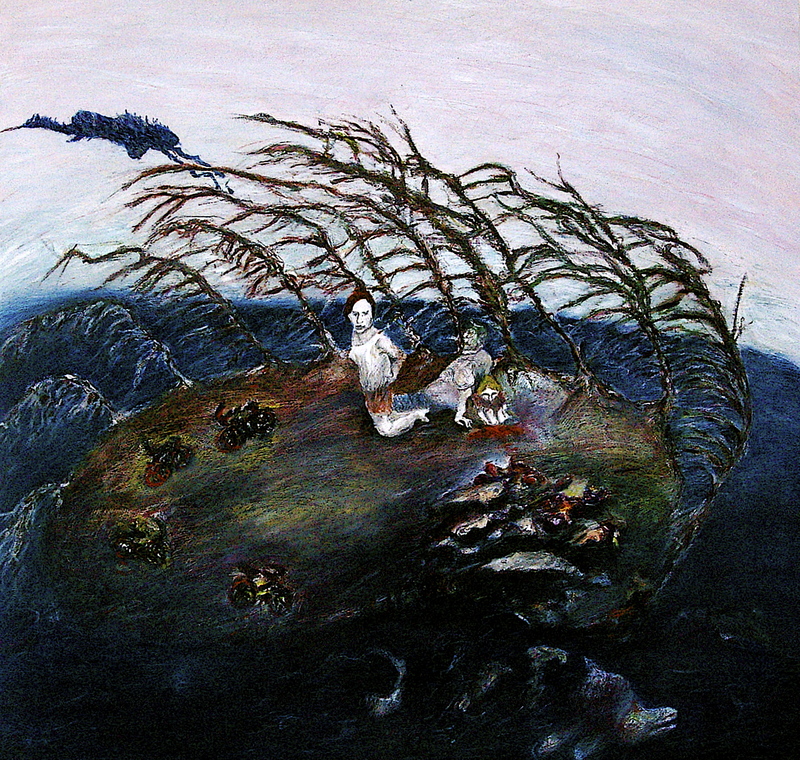 Childhood Composition 2, Parents and child by the Ocean, mixed media on paper, 70 x 72.5 cm, (private collection). 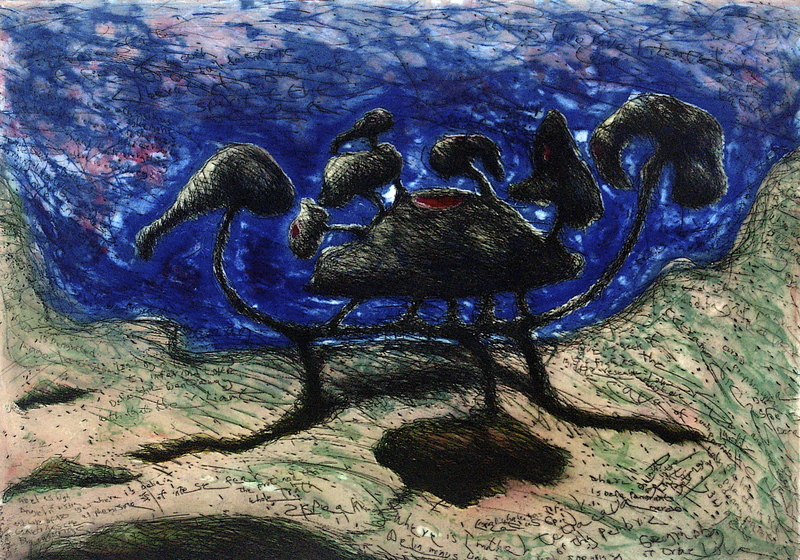 Sleep, etching and aquatint, 41.5 x 59 cm, edition of 14. 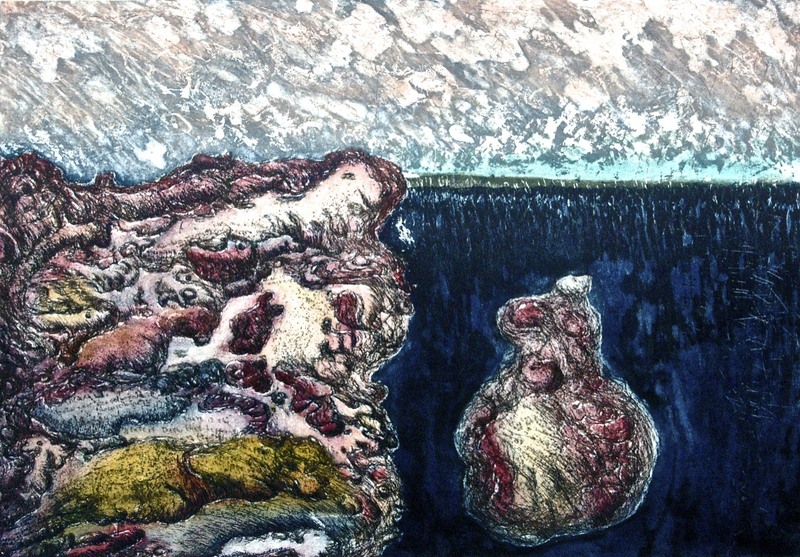 Orientation, etching and aquatint, 59 x 41.5 cm, edition of 14. 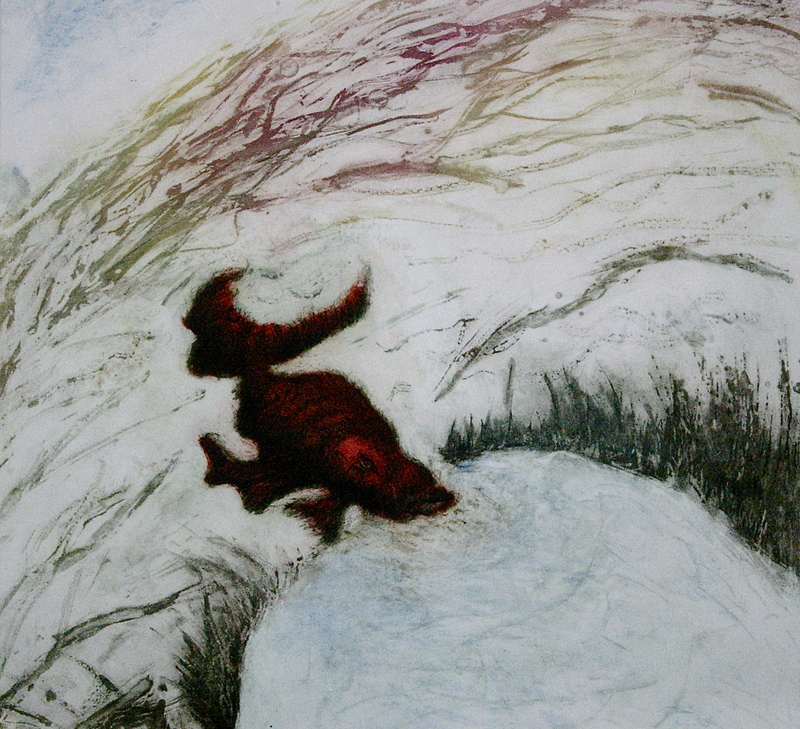 Drinking Fish, etching and aquatint, 34 x 41 cm, edition of 14. 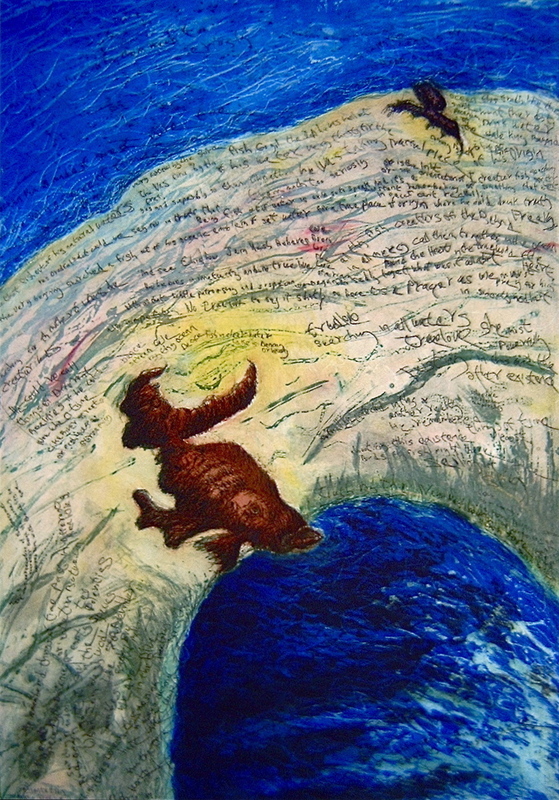 Urge, Intense Fear Liberated by the Spirit of the Ocean, etching and aquatint, 41 x 59 cm, edition of 14. 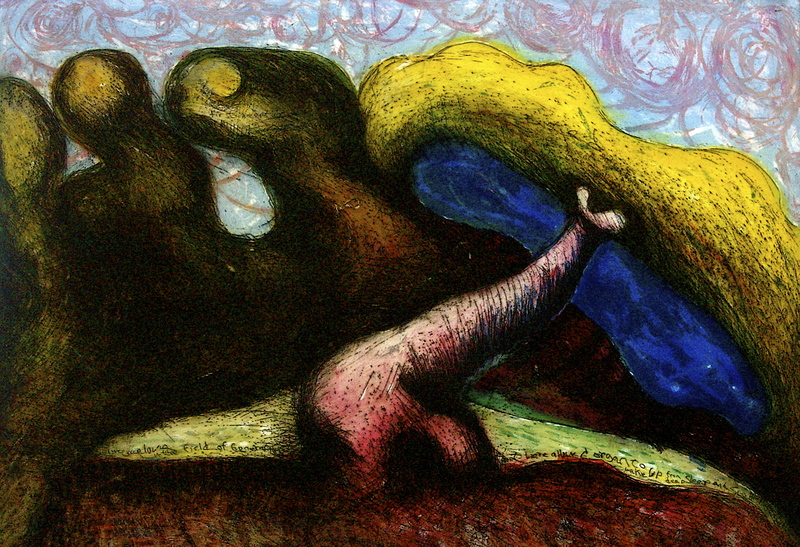 Curiosity with no Calculated Purpose, First Acceptance of the Kiss, etching and aquatint, 41.5 x 59 cm, edition of 14. 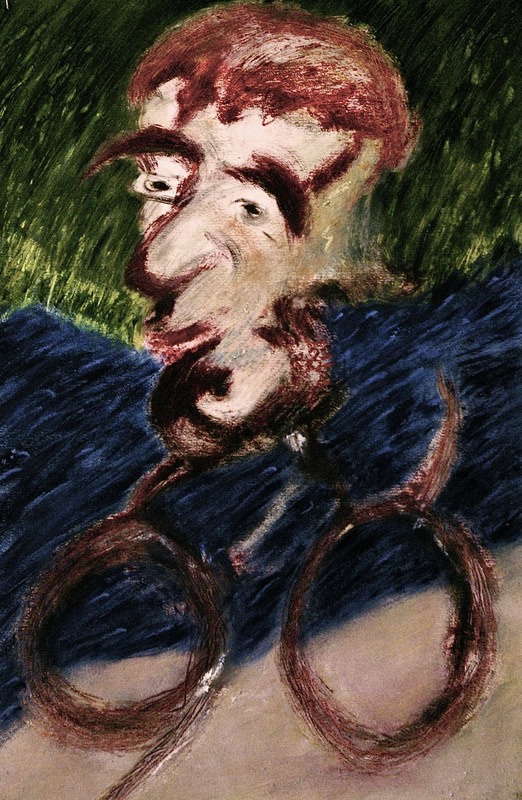 Cyclist, oil on paper, 60 x 40 cm, (private collection).